Right fielder Daniel Palka is the new guy for this season's Chattanooga Lookouts, and he has been effective at making first impressions. "I remember the first day of spring training, and I saw him hitting on the field," Lookouts first baseman Dalton Hicks said. "I was like, 'Who is that guy? I want to hit with that guy.' He is definitely a guy who will provide some power." 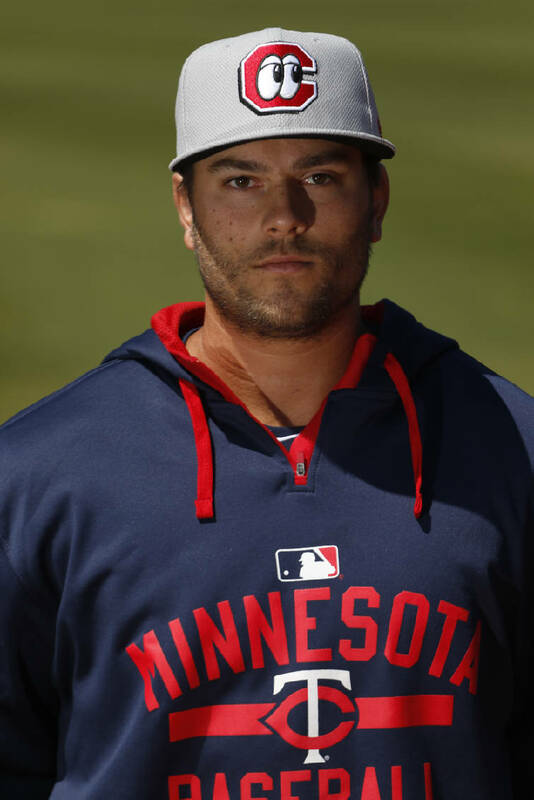 Palka, a 6-foot-2, 220-pounder from Greer, S.C., joined the Minnesota Twins through a trade this past November with the Arizona Diamondbacks, who selected him in the third round (88th overall) of the 2013 draft out of Georgia Tech. In his final season in the Diamondbacks organization, he hit .280 with 29 home runs and 90 RBIs with Visalia of the high Single-A California League. This year, Palka is not only adjusting to Double-A pitching for the first time but doing so with new teammates. A majority of the 2016 Lookouts are either back from last season's Southern League title team or played for the Twins at Fort Myers in the high Single-A Florida State League. "I may have known three players in the Twins organization, but I didn't know anybody who was going to be here," Palka said. "From day one, though, I felt like I have known them, so it's been a great transition. This is a good opportunity for me, and it's like having a fresh start. "You're still out there playing. You're just with a different team." In Wednesday afternoon's 6-2 win at Mississippi, Palka had a hit and drove in a run. He is batting .245 through 12 games. Palka has provided power numbers for all of his teams dating back to Greer High School. After being selected by the Philadelphia Phillies in the 19th round of the 2010 draft, Palka instead chose to play for the Yellow Jackets and hit .297 in 2011, .303 in 2012, and he had 12 homers in each of those seasons. As a Georgia Tech junior in 2013, Palka hit a whopping .342 with 17 homers and 66 RBIs in 62 games. He was one of 10 Yellow Jackets drafted that year and received a signing bonus of $550,000. Palka spent his first full professional season with South Bend in the Single-A Midwest League, where he hit .248 with 22 homers and 82 RBIs. He improved in each of those categories last season at Visalia, but he also struck out 164 times in 129 games (1.27 per game). "It was a good year, and I was pretty happy all-around with it," Palka said, "and one of the best things I had going was getting invited to the Arizona Fall League and getting to see a lot of arms that I am seeing in Double-A. I took a mentality out there of trying to cut down strikeouts, and I did." In 22 games in the Arizona Fall League, Palka hit .278 with 17 RBIs. He struck out 19 times (.86 per game). Palka certainly turned some heads in his new organization during spring training. In six big-league at-bats, he hit three homers and drove in five runs. "He doesn't get cheated at the plate," Lookouts manager Doug Mientkiewicz said. "He's a decent athlete with a good arm, and he's got a lot of power. He's shown some pretty good hitting skills, and it's taking a little time to teach him how the Twins do things and make him a complete player, but he's had success everywhere he's gone. "We like having him driving in runs for us." And Palka likes his new surroundings. He may be new to the organization, but he can get to his hometown quicker than most of his teammates. "I was really, really excited to hear that I would be in Chattanooga," Palka said. "From the day I was traded, I was excited about that."